The new and revised text of the Standard Minimum Rules for the Treatment of Prisoners (SMR) drafted by the intergovernmental expert group (IEG) will be submitted for consideration at the 24th session of the Commission on Crime Prevention and Criminal Justice (the UN Crime Commission) in Vienna this week. 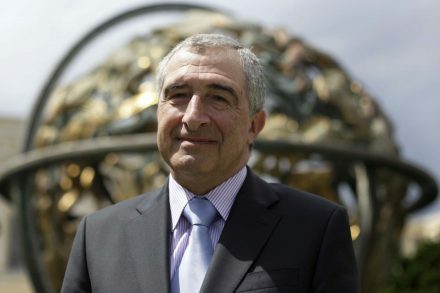 Professor Sir Nigel Rodley, Chair of the Human Rights Centre at Essex University and Member of the UN Human Rights Committee, sets out what changes have been made to the existing provisions and why, if adopted, the revisions in the new text will be so significant. Sixty years ago, the First UN Congress on the Prevention of Crime and the Treatment of Prisoners (Tokyo, Japan) adopted the Draft Standard Minimum Rules for the Treatment of Prisoners which two years later were adopted by the UN Economic and Social Council (Ecosoc), a principal UN organ under the UN Charter. Apart from one amendment in 1977 that added an extra rule, the SMR have remained as originally drafted. They have been a leading force for the improvement of conditions of detention for persons deprived of liberty. They have influenced national legislation and prison rules in many countries. They have also played an important role in assisting international bodies in interpreting key human rights provisions. Even though the Rules are not of themselves legally binding, they have been invoked by the UN Human Rights Committee, the European and Inter-American Courts of Human Rights and the African Commission on Human and Peoples’ Rights, when they have had to decide if detained or imprisoned persons have been treated with respect for their humanity and inherent human dignity and have not been subjected to torture or cruel, inhuman or degrading treatment or punishment. Nevertheless, after six decades, it was clear that the text needed revision to reflect current penological standards and the evolution of human rights norms. However, whenever international drafting exercises are contemplated, account has to be taken of the risks of backsliding instead of progress. So, when the General Assembly concluded in 2010 that a review was necessary, it was decided that the process be undertaken by an intergovernmental expert group meeting which, in turn, eventually decided to go for a ‘targeted revision’, largely with the aim of updating, rather than re-writing the current text. There have been four inter-governmental group meetings, the latest and last taking place in Cape Town, South Africa in March this year. PRI has played a central role in ensuring a positive outcome of the process. It co-hosted with the University of Essex Human Rights Centre two meetings of relevant NGOs and experts. These meetings, held at the Colchester Campus of the University, produced a substantial menu of proposed improvements to the text. In addition, PRI’s policy director, Andrea Huber, has led a coalition of NGOs and specialists interested in the area, keeping them briefed on developments and coordinating those which could participate in relevant meetings, as well as effectively representing PRI. I saw this positive process in action in Cape Town where I was invited by the UN Secretariat to participate as an individual expert. While some of the proposed revision was achieved at earlier meetings, most took until Cape Town to be finalised. The proposed revised or new rules generally reflect proposals from civil society. Having been welcomed by the Thirteenth UN Congress on the Prevention of Crime and the Treatment of Offenders (Doha, 12-19 April 2015), it is expected that the Commission on Crime Prevention and Criminal Justice (24th session, 18-22 May 2015) will endorse the proposals, with a view to securing their adoption, via Ecosoc, by the General Assembly. New Rule 1, under the title ‘basic principles’, would affirm fundamental human rights principles, notably, the obligation to treat prisoners with respect for their inherent dignity and to refrain from torture or similar prohibited ill-treatment or punishment. The same provision also underlines the need to ensure the safety of prisoners and others within the institution, including staff and visitors, at all times. New Rules 50-52 require searches to be respectful of human dignity; particular restrictions are placed on body cavity searches, which should, if possible, be replaced by technical alternatives. Rules 24-35 respond positively to all the issues raised by civil society about medical services, in particular, requiring respect for medical ethics that, inter alia, expect health personnel to provide independent medical care, applying the standards prevailing in the outside world. Regarding disciplinary issues, Rule 39 provides for disciplinary penalties to respect the principle of proportionality. Rule 42 eliminates reference to the possibility of reduction of diet, while insisting that general living conditions be enjoyed by all prisoners ‘without exception’. All separation from the general prison population must be subject to law or general regulation (Rule 37), while solitary confinement (separation for more than 22 hours) must never be indefinite or even prolonged for more than fifteen days (Rules 43-44). Rules 6-10 provide detailed procedures for file management and Rule 71 provides for independent investigations of custodial deaths, disappearances, injury or torture or other prohibited ill-treatment. Rules 61 provides for extensive access to legal representation, not just before trial, including for defence in disciplinary hearings. Rules 83-85 would now provide for independent inspection of prisons and require prison administrations to accept thorough inspection procedures, including access to all relevant documentation, as well as unsupervised access to prisoners of their choice. This remarkable innovation amounts to the effective universalisation of an obligation on state parties to implement the Optional Protocol to the UN Convention against Torture, which provides for the setting up of ‘National Preventive Mechanisms’. Not all the issues of concern to civil society have been taken on board. For example, there are no provisions on maintenance or restoration of order to bring the SMR into line with the UN Basic Principles on the Use of Force and Firearms by Law Enforcement Officials. Of course, those Principles remain applicable, but may not be part of the routine training of prison personnel. Still, assuming the new texts are adopted, they will be more than just an updating; they will be a real deontological reorientation of the philosophy of penal institutional management. What’s more, this time they are expected to be adopted at the level UN General Assembly where all UN member states are represented, not just the 56-member Ecosoc. So, the new SMR will have maximum, universal legitimation. Read about the process so far and download a complete version of the revised text of the Standard Minimum Rules for the Treatment of Prisoners if the recommended revisions of the intergovernmental expert group are adopted.